Jan. 18, 2018—Jeff Balser, MD, PhD, President and CEO of Vanderbilt University Medical Center and Dean of Vanderbilt University School of Medicine, will deliver the 2018 State of the Medical Center Address, from 7:30 - 9:30 a.m., Wednesday, Feb. 14, in Langford Auditorium. Jan. 18, 2018—Rising obesity rates in several Southern states are leading to a rapid increase in new cases of diabetes among both black and white adults. A new study helmed by investigators at the University of Texas Health Science Center and Vanderbilt University Medical Center (VUMC) found the risk of diabetes is double for black patients. Jan. 18, 2018—Vanderbilt University Medical Center (VUMC) recently secured its third American Heart Association (AHA) Strategically Focused Research Network (SFRN) award to address the challenges of limb problems in peripheral artery disease (PAD). Jan. 18, 2018—The Department of Radiology and Radiological Sciences’ Office of Diversity, Equity and Inclusion has expanded its leadership team to include Marques Bradshaw, MD, MSCR, Kate Hartley, MD, and third-year diagnostic radiology resident Eleby Washington, MD. Jan. 18, 2018—Living in an economically disadvantaged neighborhood is likely to lead to death at an earlier age, especially among African-Americans, new research shows. The death rate is even more pronounced among disadvantaged individuals with unhealthy lifestyle habits. Jan. 18, 2018—Singer Eric Paslay visited with patients and families at Monroe Carell Jr. Children’s Hospital at Vanderbilt recently. Jan. 18, 2018—Blocking a nerve-cell receptor in part of the brain that coordinates movement could improve the treatment of Parkinson’s disease, dyskinesia and other movement disorders, researchers at Vanderbilt University have reported. Jan. 18, 2018—James Mathis, JD, Vanderbilt University Medical Center’s (VUMC) Chief Compliance Officer, has accepted a new position as Chief Compliance Officer for UW Medicine, the academic health system of the University of Washington in Seattle. Mathis will depart VUMC on Jan. 22. Jan. 18, 2018—Researchers at Vanderbilt University and Florida State University have received a three-year, $1.5 million grant from the Military Suicide Research Consortium to develop and evaluate tools to help U.S. Navy primary care teams detect and manage suicide risk. Jan. 18, 2018—Arie Nettles, PhD, associate professor of Clinical Pediatrics and Vanderbilt Kennedy Center member, has been appointed by Tennessee Gov. Bill Haslam as chair of the Statewide Planning and Policy Council of the Tennessee Department of Intellectual and Developmental Disabilities (DIDD). Nettles has served as a member of the council since 2014.  Jan. 18, 2018—Tempus, a technology company focused on helping doctors personalize cancer care by collecting and analyzing large volumes of molecular and clinical data, and Vanderbilt-Ingram Cancer Center (VICC) have announced a new collaboration to improve outcomes for cancer patients. Jan. 18, 2018—Clinical trials expert Roger Lewis, MD, PhD, right, poses with Vanderbilt’s Yu Shyr, MD, following his recent Discovery Lecture. Lewis is chair of Emergency Medicine at Harbor-UCLA Medical Center in Los Angeles.